The vineyards of Champagne lie 90 kilometres northeast of Paris, and march to a different beat from other wine regions of France: historically it is not terroir that has defined Champagne, but the process by which it is made in Champagne there is only one Appellation Contrôlée that covers the entire region; in Champagne the non-vintage blend is king. But all of that is changing. Whilst there is no sign yet of Champagne’s top viticultural areas like the Montagne de Reims, the Vallée de la Marne or the Côte des Blancs being granted their own Appellations Contrôlée status, there is much more emphasis on the specific qualities of vineyards and the grapes they produce. Multi-vintage wines (normally referred to as non-vintage”) are still the bedrock of Champagne production. Made by blending the wines of the most recent harvest with ‘reserve wines’ from previous vintages, NV accounts for more than 90% of all Champagne, with vintage wines accounting for only 7% or so of production. 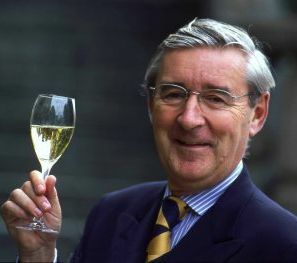 One or two houses are the exceptions to this rule, like Pol Roger, where around 20% of the production is vintage dated. But it is fair to say that the blending of young wine with a selection of older reserve wines is still seen as the very essence of Champagne, and the very soul of each house’s renowned consistency of style. There are 15,000 grape growers in Champagne, farming 270,000 different parcels of land. But there are perhaps only 30 or so houses whose names could be considered major ‘brands’. Champagne is by and large a region split into two camps: those who make wine, and those who grow grapes. The ‘Château model’, of a great house that makes wine solely from vineyards that surround the estate, does not apply here. Or at least, it didn’t until recently. The vast majority of growers traditionally sold their grapes to one of the big houses or the local co-operative. However, there has been a revolution in the last decade or so, with the emergence of ‘grower Champagnes’. Many grape growers have become Recoltants Manipulants, making and bottling wines under their own name. Now, an estimated 5,000 growers are also ‘RM’, and of the 150 cooperative cellars, 60 bottle rather than shipping wine off in tankers. 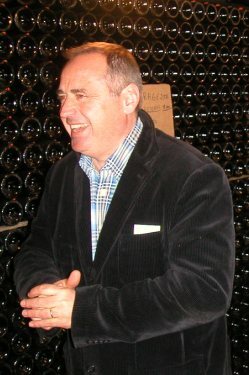 Although driven by commercial interests, the knock-on effect of grower Champagnes has been a renewed emphasis on terroir, and on vintage wines. 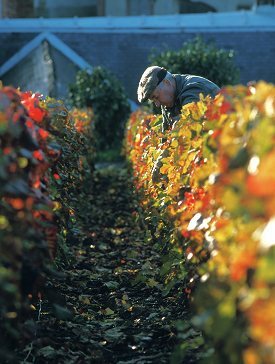 Most growers simply do not have the storage capacity nor financial resources to cellar ‘reserve’ wines, so by default each harvest is vinified, aged and bottled as the product of a single vintage. This has also led to new thinking about Champagne as a wine. Whilst the NV character is all about consistency, bottle after bottle, year after year, the wines made by the Recoltants Manipulants precisely reflect the conditions of the vintage and their particular vineyard sites. Non-vintage wines still totally dominate the market for Champagne, and that market is buoyant. Ever since the fizz-frenzy of the millennium, the sound of Champagne corks popping has become the backdrop to UK wine consumption. Whilst promotional pricing on the high street has made NV Champagne more affordable than ever, there is still no other wine that seduces Joe Public to happily splash out £20 a bottle. At the other extreme, the ‘Prestige Cuvées’ represent the pinnacle of achievement. Wines like Champagne Krug, Roederer’s Cristal, Möet et Chandon’s Dom Perignon or Veuve Clicquot’s Grande Dame are the ultimate expressions of the house concerned: the wine that represents their finest vineyards, grapes, and the Cellarmaster’s know-how.Yet the wines fall squarely in the ‘luxury goods’ category, with ads in upmarket lifestyle magazines jostling with Rolex and BMW to capture the attention of readers. So if the mass-market NV and the elite Prestige Cuvée each knows its place, just where does that leave ‘ordinary’ vintage Champagne? In some ways this is a wine in limbo, without the luxury appeal of Cuvée Prestige, but not clearly distinguished from NV in the eyes of most consumers. I would hazard a guess that the bulk of people staring at two bottles from the same house on a supermarket shelf will be hugely puzzled as to why one costs £25 and the other £35. The fact that one bears a vintage date will mean nothing to them. So is NV Champagne too expensive, or is the vintage stuff too cheap? 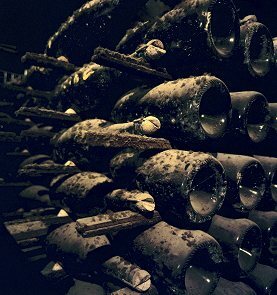 Vintage Champagne usually represents a fastidious selection of the very best material, and is aged longer in the cellars. Yet it is sold for just 50% more than its mass-market cousins. In a wine like Port, the price difference between non-vintage ‘ruby’ and vintage wines is at a hugely different ratio, the latter commanding around 400% more. The quality ratios may be markedly different too perhaps, but nevertheless the problem remains that vintage Champagne does not enjoy clear blue water between it and the fighting-weight NVs. Vintage Champagne represents one of the world’s great wine buys. My own cellar contains a fair proportion of these wines, crafted with extraordinary care and capable of being cellared for decades. Perhaps the time has come to really make vintage Champagne a specialist category for the connoisseur and collector. The great wines of Burgundy use the same grapes as Champagne, so could vintage Champagne offer a more Burgundian experience, with the region’s various sub-regional terroirs being expressed at village, premier and grand cru levels? This might mean the creation of new Appellation Contrôlée – unthinkable for some – but it could offer a proposition that is dramatically new for Champagne. As patterns of climate change promise more and more vintage years, production could be increased a little and – with a little consumer education – the ‘new vintage’ category could leave NV for everyday enjoyment, Prestige Cuvée for lottery winners and city slickers, and make vintage Champagne the choice of discerning wine lovers. A chance to taste wines that speak of grape, terroir and vintage, at a still affordable price. Below, a visit to two of Champagne’s most interesting Recoltants Manipulants, Henri Giraud and Roger Coulon, then the great houses of Krug and Pol Roger, to taste vintage Champagnes dating back to 1914. 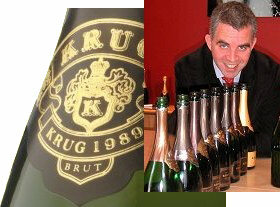 My previous meetings with representatives of the house of Krug had been with Rémi Krug, and never his brother Henri. 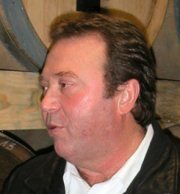 The urbane Rémi was always the more natural ambassador and front man for the house, whilst winemaker Henri stayed firmly in the background. Now, well into their sixties, both have taken a back seat and I was greeted in Krug’s business-like offices in Reims by Henri’s son Olivier, who has taken over the reins as head of this house. Olivier, who has recently turned 40, bounds into the room and leaps (elegantly) over a couple of low tables to reach the water that had been left on the sideboard by an assistant moments before. Clearly this is an athletic and youthful new broom in the corridors of Krug power.